We’ve been talking about some of the channels—email, reviews, video, etc.—that I think every organization needs to consider as they build out their 2019 marketing plan based on data that suggests they’re too big to ignore. Back when I started my marketing career 30+ years ago, video was a very different beast than it is today. Back then, when we produced a video for a client, it was an incredibly expensive endeavor and took weeks, if not months, to plan, execute and complete. A $50,000 video shoot was considered low end so unless the client was huge, it was a once every few years sort of luxury. The other big difference with video back then was distribution. There was no YouTube or Internet to use as a way of getting your video in front of your audience. You had to assemble them at a meeting, trade show or some other event and actually run the video while they were in the room. To even type those words sounds so absurd today. In contrast, this year the average US adult will spend over 100 minutes a day watching digital video (eMarketer). Video has gone from a “few can afford it” marketing tool to one of the most common and one of the most effective. Brands are producing videos on the fly and publishing them within an hour (if not faster) of being shot. Tools like Facebook Live are bringing us the ability to publish on the fly, and the biggest shift of all—our consumers’ perceptions of these raw, less produced videos has completely changed. Consumers appreciate the authenticity and real-time aspect of the shoot and show style we’re seeing more of today. They aren’t judging the value of the content based on the production value. Don’t get me wrong; there is still a place and a need for a well shot and artfully edited/produced video. Everything shouldn’t be a run and gun effort. But there’s plenty of room for both. 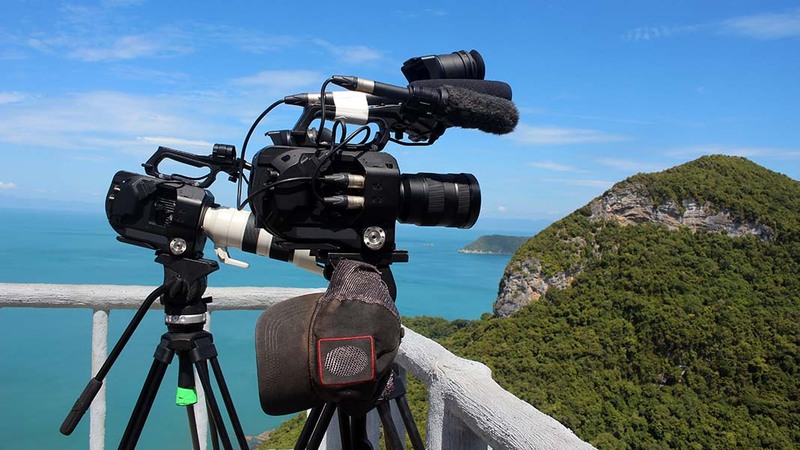 Interestingly, even though the production requirements for a successful video have changed dramatically, the best ways to use video are still pretty much the same. Tell a story: Everyone talks about the importance of being able to tell a story in your marketing. That point of view is nothing new, but it’s as relevant today as it was 50 years ago when Leo Burnett introduced us to the lonely Maytag repairman. Demonstrate something: There’s no better way to teach than to let the audience see if for themselves. Demo videos make the unbelievable very real and the hard to understand, very tangible. Testimonial: This can be a blend of telling a story, touching an emotion and even demonstrating something. We all know the power of hearing an endorsement from an actual customer. It’s why ratings and reviews are so coveted today. But actually seeing the person as they tell their story of your brand and how it helped them is so much more compelling than just the written word alone. Teach: This is an aspect of video that has exploded thanks to YouTube. If you want to know how to do something today, from swapping out a toilet to repairing your car’s engine, odds are you head to YouTube to watch a video or two before you touch a tool. Touch an emotion: This is a tricky one. It can be the most powerful use of video, but if it feels manipulative or staged, you can lose a lot of credibility. But when done well, whether you make us laugh or make us cry—this is marketing gold. This is probably a channel you can’t ignore. Don’t let your pre-conceived ideas about budget or timeline get in your way of leveraging this very powerful medium.